Tyler Casertano is the school's director of admissions and financial aid. Mr. Casertano joined the St. Albans community in the fall of 2009 as an Upper School history teacher and a Lower and Upper School coach. 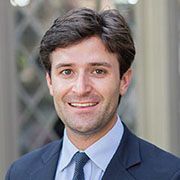 In addition to teaching history, Mr. Casertano coached soccer, hockey, and lacrosse, and served as the assistant director of admissions for the Upper School. He holds a B.A. in history from Yale College and an M.A. from Columbia University. Click here to send an email to Tyler Casertano. 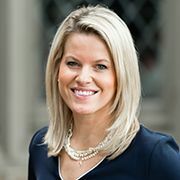 Laura R. Capito is the school's associate director of admissions. Mrs. Capito is in her eleventh year at St. Albans and was pleased to return to the Cathedral Close, having graduated from Beauvoir School in 1990 and National Cathedral School in 1999. She holds a B.A. in developmental psychology from Duke University. Click here to send an email to Laura Capito. 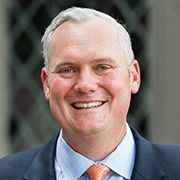 Robert “RJ” Johnsen is the school’s assistant director of admissions for the Upper School and assistant director of the Skip Grant Program for the Lower School. A native of Washington, D.C., Mr. Johnsen graduated from Woodrow Wilson High School in 1999. In 2003, he received a degree in political science from the University of Rochester. A varsity baseball player while at the University of Rochester, Mr. Johnsen brings his talents to St. Albans as the head varsity baseball coach as well as the director of retail operations. Click here to send an email to RJ Johnsen. Glennard “OJ” Johnson is a 1997 graduate of St. Albans School. He received a B.S. in business administration from Georgetown University, where he also played varsity basketball and football. Mr. Johnson formerly served as the head basketball coach and athletic director at Dr. Henry A. Wise Jr. High School in Upper Marlboro, Maryland. 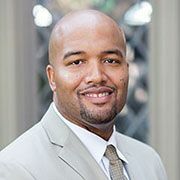 Now back at his high school alma mater, Mr. Johnson serves as head basketball coach, assistant director of admissions for Lower School, and director of the Skip Grant Program. Click here to send an email to OJ Johnson. Caroline Healey is the school’s admissions and financial aid coordinator. 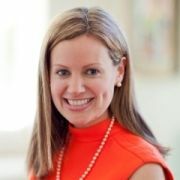 Prior to joining the St. Albans community, Caroline served as a teacher at Beauvoir, the National Cathedral Elementary School, and at St. Hilda’s & St. Hugh’s School in New York. She is also an alumna of both Beauvoir and the National Cathedral School. Caroline holds a B.A. in art history and urban studies from Brown University and an M.S.T. in early childhood education from Fordham University. Click here to send an email to Caroline Healey. Our office is open from 8:00 a.m. - 4:00 p.m. on days in which St. Albans School is in session. Visits are by appointment only. The Office of Admissions and Financial Aid is located in the Lane-Johnston Building through the Senior Circle entrance. All admissions visitors arriving by car should park in the Cathedral Parking Garage, accessible via Wisconsin Avenue, just north of Massachusetts Avenue. For detailed parking instructions, please click here. By Metro, the closest station is Tenleytown. You may take the red line to the Tenleytown station and then take one of the 30-series buses south on Wisconsin Avenue to the National Cathedral stop. From there, enter the Cathedral Close and walk south to St. Albans School, following the directions on the map. Click here for a map of the Cathedral Close and St. Albans School.